As soon as I saw this book I wanted it. 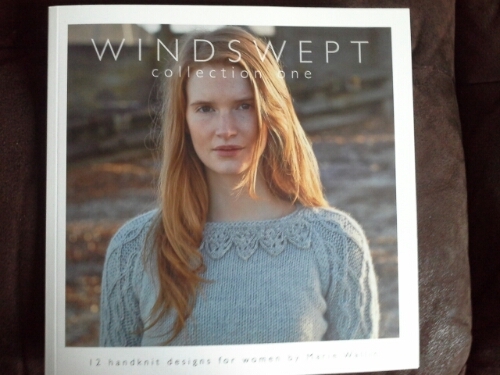 Windswept is a wonderful range of patterns in a range of Rowan yarns designed by Marie Wallins. I am lucky enough to have yarn in my stash for some of the designs but I was lacking in enough Cocoon to knit Dill the first design of the second row. I really want to knit this so I used my initiative and remedied the problem by swapping some Tumble from my stash for the same number of balls in Cocoon. I decided on the chocolate brown as I feel it will be more versatile. 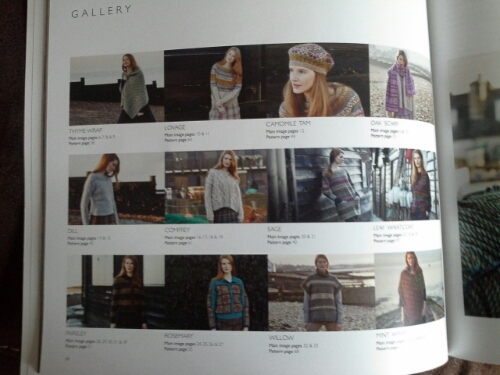 I like all bar three of these designs and want to knit the stranded work dress , sweater and cardigan. I may need to buy a couple of balls but am lucky enough to have most of it in my stash. It is hard deciding what to knit and too often I end up knitting something I quite like that I can wear for work, but don’t wear much outside. These designs I would wear every where.